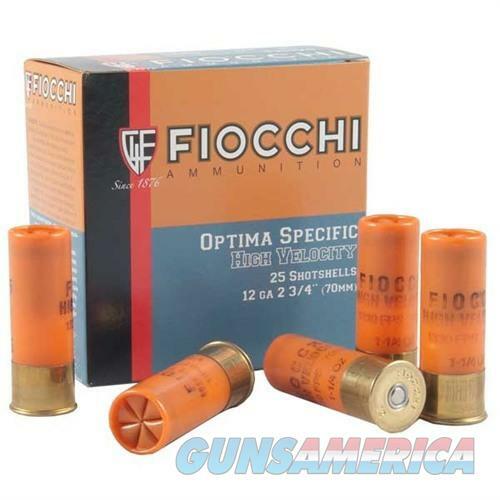 Fiocchi Optima High Velocity shells give a powerful punch that's ideal for hunting small game and upland birds. High-quality components help ensure consistent patterns and velocities. Reach out far and fast”and hit hard”with Fiocchi Optima High Velocity. 25 shells per box. Shot Weight (ounces): 1 1/4 oz.